Solar energy has started to light lives of tens of millions of India’s energy-poor citizens. It is one of the low carbon energy technologies with the potential to grow to a very large scale. Recent years have seen swift growth in installed solar generating capacity, advancements in price, performances, and technology. However, government push and support in the form of programmes and initiatives are needed to enable an increase in solar power at a subsidized solar energy cost. The aim of JNNSM mission is not limited to offering large-scale grid-connected power but also transform India’s rural economy. The quick spread of solar lighting systems, water pumps, and other solar power-based applications will change India’s rural economy. The mission is to expand and establish India as a global leader in solar energy sector. 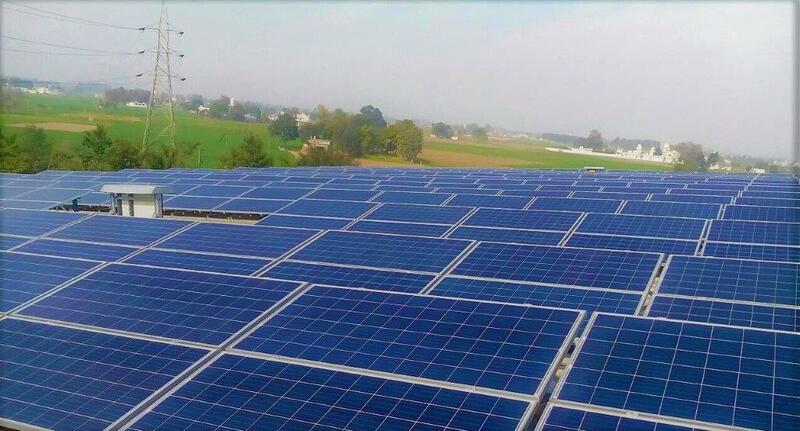 Under the rooftop scheme executed by SECI (Solar Energy Corporation of India), 200 MW of projects has been allocated, out of which 45 MW of capacity have been commissioned. Addition to this, special schemes including 73 MW for warehouses and 50 MW for the CPWD (Central Public Works Department) have been launched. SECI launched a tender which is the largest global one of its kind offering 30% subsidy to the residential sector, private not for profit education organizations, social sector, and the health institutions. The tender is a part of MNRE’s (Ministry of New and Renewable Energy) initiative to generate momentum for achieving the target of 40GW of rooftop solar power generation by 2022. Similarly, SECI is planning to issue a 1,000 MW rooftop tender soon which will may not include a subsidy. MNRE has come up with a scheme to set up a number of solar parks across several states, each with a capacity of almost 500 MW. 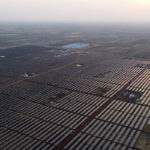 The scheme proposes to offer financial support by the Government of India to establish solar parks to facilitate the creation of infrastructure required for setting up new solar power projects in terms of allocation of land, transmission, access to roads, availability of water, etc. As per the policy, these solar parks will be developed in collaboration with the State Governments. Land required for the development of solar power projectswith a cumulative capacity generally close to 500 MW and above will be identified and acquired. The solar park will enable states to bring in investment from project developers and offer employment opportunities to the local population. The Solar Parkis a concentrated zone of development of solar power generation projects. The implementation agency would be SECI on behalf of Government of India. The state will be able to reduce its carbon footprint by avoiding emissions equivalent to the solar park’s generated capacity. Viability Gap Funding scheme is implemented by SECI. In the past few years, SECI has made multiple project allocations under the VGF mechanism. The first 750 MW allocation has already been executed of which 680 MW capacity has been installed and commissioned. 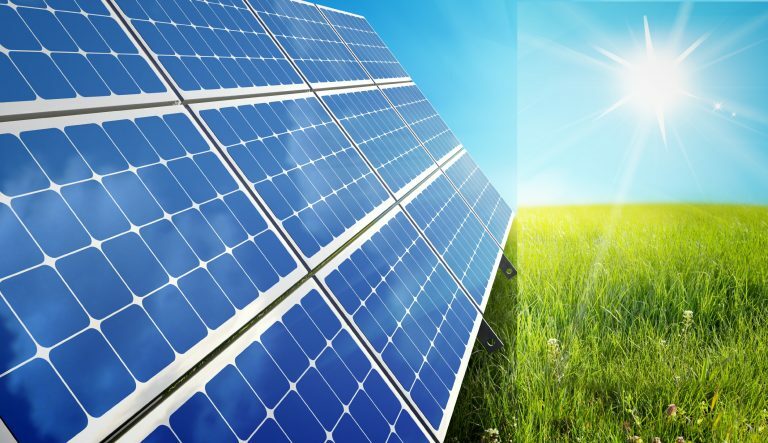 VGF support will be provided for setting up of grid-connected solar PV projects of a minimum 2000 MW capacity by solar power developers on build own operate basis. Under this Scheme, financial assistance and capital subsidy will be provided to the applicant to the extent of 50 percent, 75 percent and 90 percent of the basis of basic cost of the solar energy plant. The Government Yojana explains that a person is eligible for a subsidy if he has solar panels installed on the rooftop. 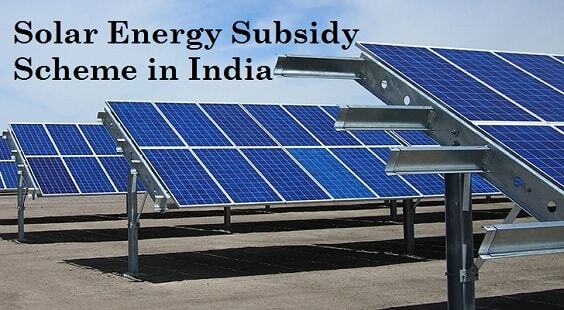 The subsidy is decided as per the capacity of the solar power plant. The scheme is mainly formulated to encourage the power loom by utilizing solar energy. The scheme will eradicate the light problem and the plant will use the solar energy to grow the textile business by increasing production. Another benefit is that people will be able to cut down on their electricity bills and the load on thermal power plant will reduce increasing power generation. UDAY or Ujjwal Discom Assurance Yojna was launched in November 2015 as a revival package for electricity distribution companies of India initiated by the Government of India with the idea to find permanent solar power solutions to the financial mess that the power distribution was facing at that time. It aims at reforming the power sector, operational improvement, development in renewable energy, reduction of cost of generation of power, energy efficiency, and conservation. However, the scheme is optional for the states to join. Under this, the state government takes up-to 75% of the debt by issuing the sovereign bonds to pay back the lenders while the remaining 25% will be issued in the form of bonds. UDAY expects to have a permanent solution for past as well as potential future issues of the power sector.